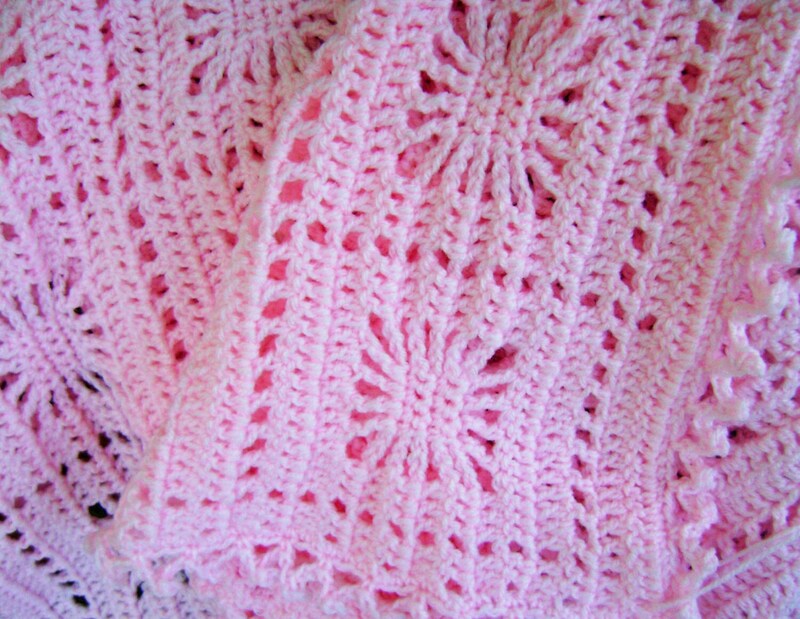 In pink or lavender, this afghan is perfect for any little girl. In marl blue it is just right for any baby boy. In cream, it can be for either. The pattern is light and airy, so it can be used any time of year, but it is large enough to fold over to give extra warmth when needed. Perfect in any climate. You can wrap baby up in the afghan or use it in a crib. This blanket will still be useful as your baby grows. It makes a wonderful new baby, Baptism or Christening gift. I use a soft, dk weight acrylic yarn, so it’s easily laundered. This afghan is made to order. Please allow 4 to 6 weeks to receive it after you have made your purchase. I will contact you with an estimated ship date at time of purchase. Shipping: Within the US, this afghan will be shipped via USPS Priority Mail with delivery confirmation. International customers will receive their afghan via International First Class Mail with delivery confirmation where available. Any duties or customs fees are the responsibility of the purchaser. See the shipping tab for shipping costs. If you like the afghan but want different colors, a custom order is possible. Just contact me through Etsy, or send an email to DaffodilCornerNC [!at] hotmail.com.